The Legend Stick is designed after one of the bows that Howard took with him to Africa. It is made with 3 lams of bamboo all placed behind the riser and has a laminated bamboo handle for the grip. The grip is narrow and deep like Howard’s unless otherwise requested. You can choose from either a natural colored bamboo or a caramelized bamboo for both the laminations and riser. There is also the option of clear, white, black, or brown fiberglass. 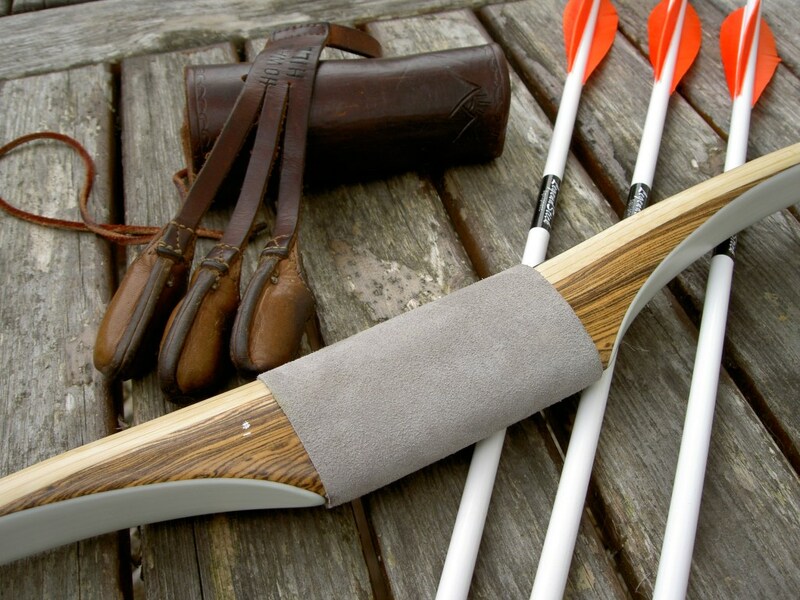 Custom Langbogen von Howard Hill Archery, gebaut von Craig T. Ekin, Hamilton, Montana. 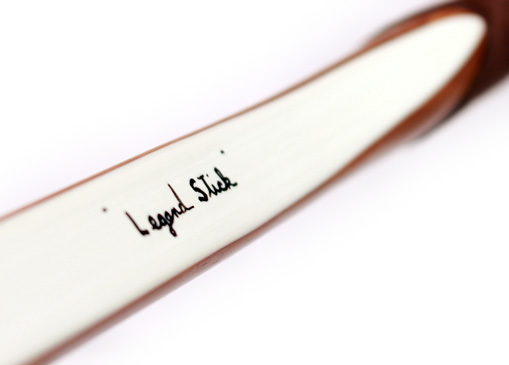 This LegendStick model „#1“ with the white facing and Zebrano-riser is made by Howard Hill Archery in Montana by Craig T. Ekin. Peter O. Stecher performing a Robin Hood-Show with Howard Hill Archery LegendStick.